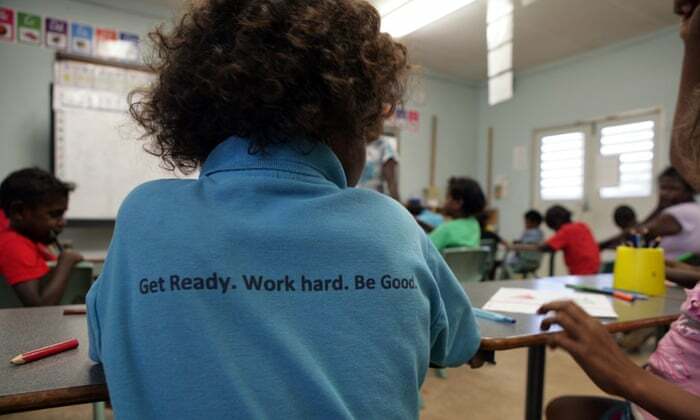 While it was nice to get a mention in the prime minister's Closing the Gap speech on Wednesday, it was sobering yet again to hear of a lack of positive progress in all but two areas. As Tony Abbott notes quite rightly, "for so many of us this is personal". Indeed for "all" Aboriginal people, this is personal. It was no surprise that some MPs walked out of parliament when faced with the prospect of being challenged by Bill Shorten about the substantial funding cuts to many important Aboriginal community service providers. Over the years, Aboriginal people have become very much accustomed to well intentioned white Australians coming to us with great passion and great intentions, only to see them walk away when it starts to get a bit hard. I've always been grateful to those white people who have come along and given their best, and I respect their right to walk away at some point to attend to other aspects of their lives. My sense of gratitude, however, is always diminished when they walk away because they have used such an opportunity to selfishly advance their own career, or they choose to walk away because it has simply become too hard. As Aboriginal Australians, there is never a time when we can simply walk away. For any Australian committed to closing the gap, this is not the time to walk away! I kind of get why this government has sought to streamline 150 Aboriginal programs down to just five broad-based program areas, yet there is room to question some areas of policy contradiction. It is difficult to comprehend the logic of expecting improvements in this agenda while withdrawing half a billion dollars in funding to many service agencies, and leaving them poised precariously at the mercy of a clumsy and poorly executed "advancement" strategy. There is also considerable room to question the quality of advice from Aboriginal leaders who call for further substantial cuts from this budget area. Let me hone in on some areas of policy contradiction that will increase the gap rather than close it. Strangely enough, we continue to endure retrograde policy approaches that are more likely to further entrench a sense of disempowerment among Aboriginal people, rather than acknowledge and enable individual empowerment. For example, the Basics Card is touted as an innovative policy when in fact it offers repugnant flashbacks to last century's mission days when Aboriginal people had their bank accounts controlled by the state. Another example offering brutal flashbacks to last century's mission days is the imposition of the American remedial education program, Direct Instruction, on Aboriginal community schools. It sees millions invested in an American remedial literacy product when homegrown Australian products are delivering great returns on the pursuit of educational excellence at a cost that is 95% cheaper. Given our obsession with American products, it seems appropriate to quote Bart Simpson, who - when put in a remedial class - asks how he is supposed to catch up to the other class by slowing down. It's a question as relevant for any Aboriginal child who has to endure the remedial program jammed down their throats. Of course this is a something of a kitsch reference but it exposes our policy paradoxes so profoundly. Governments want Aboriginal Australians to "catch up" yet we invest in policy approaches that take us back to last century. As I reflect on the challenge of closing the gap I know that our only chance is to acknowledge and embrace the humanity of Aboriginal Australians, and invest in the pursuit of our excellence. To those not familiar with my work at the Stronger Smarter Institute, this is not just some romantic notion, this is the basis of dramatic success from working for seven years in an Aboriginal community school. It is a formula that underpinned a shift in real school attendance from 62% to 94%; unexplained absenteeism reduced by 94% within 18 months; an 81% improvement in year 7 literacy over five years; and a deeper and more engaged relationship with parents and community. 100% retention of Aboriginal students from year 8 to year 12 at Broome Senior High School in WA. Those who have worked tirelessly in these and other schools understand that the formula for success is indeed very simple but the work is very, very hard. There are many times when the people working in these and other schools would have found it easier to walk away because it was just too hard. Significantly they didn't. While I think our prime minister is somewhat ill-advised and rooted among some policy paradoxes, I do believe he is truly committed to closing the gap in Indigenous outcomes. In those times when he, or any other politician, feels a sense of exasperation about limited progress in this area, I would ask him to be inspired by those educators and those Aboriginal people who have never walked away from such challenges. Be inspired by those who hold relentlessly as a truth the notion that Aboriginal people can be exceptional. While there might seem reason for despair as we reflect on a lack of substantial progress, my colleagues and I retain an authentic sense of hope because the truth is the truth: Aboriginal people are exceptional people. When the Aboriginal policy paradoxes are flushed out, Tony Abbott and others will be left with nothing but a search for the truth and that is where we will be; because we never left it in the first place. When all of us get to this point, the gap will surely close.